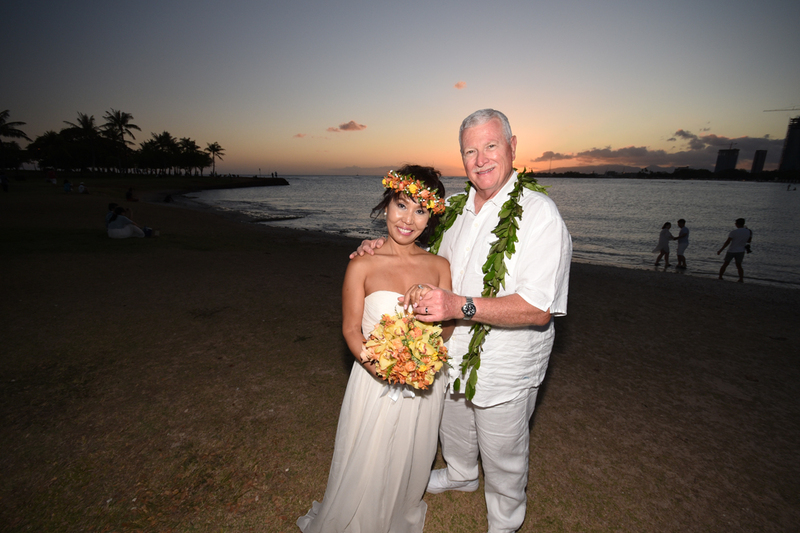 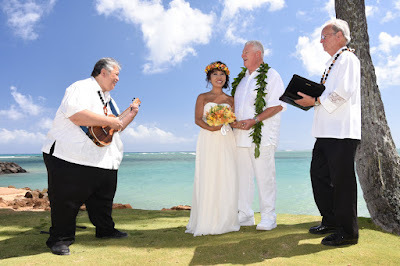 Joe & Mia tie the knot at Kahala Beach with Bernard serenading on Ukulele and Rev. Bob performing the ceremony. 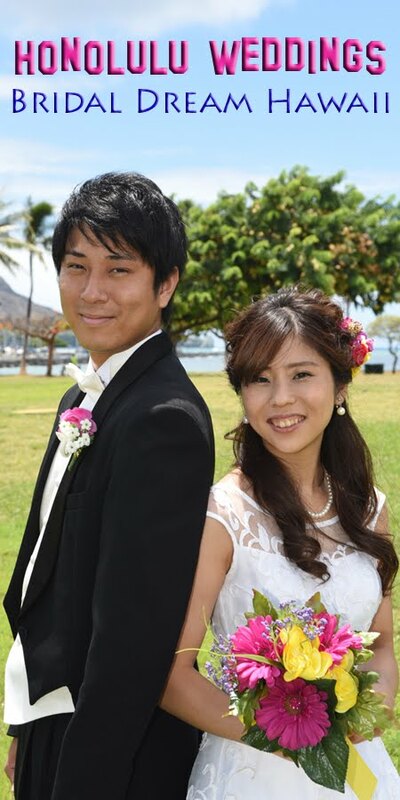 They enjoy a photo tour with sunset photos at Magic Island.